A total of 69 records matched your search. Communicate. Communicate. Communicate! We must make it a point to communicate with our children every day to learn what is going on in their lives and who they are having daily contact with. Our children are exposed to school staff, counselors, coaches, day care providers, summer camp staff, and/or babysitters every day. Their social horizons have been expanded at a far too rapid pace. Many of us parents enjoyed a more relaxed childhood in the 1950s and 1960s when it was common to have our mothers home all day with us. 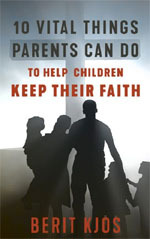 Also covers Debriefing And Gathering Intelligence: Sharing A Meal, Network With Other Parents, Monitoring the Internet & Cell Phones, Protecting Your Child With Prayer & the Word. PARENTS BE FOREWARNED BEFORE YOU SEND YOUR CHILD OFF TO A CHRISTIAN COLLEGE: What do Assemblies of God Theological Seminary, Biola Seminary, Fuller Theological Seminary, Dallas Theological Seminary, Southern Baptist Theological Seminary, Urshan Graduate School of Theology, Briercrest College and Seminary, Eastern Mennonite Seminary, Seventh-day Adventist Theological Seminary, Multnomah Biblical Seminary, Trinity Evangelical Divinity School, Moody Theological Seminary & Graduate School and around 240 other seminaries throughout North America all have in common? They are all accredited through the Association of Theological Schools (ATS). 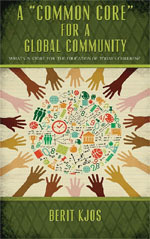 What do Cincinnati Christian University, Columbia International University, Eston College, Hope International University, Moody Bible Institute, Multnomah University, Nazarene Bible College, and Prairie Bible College and about 90 other colleges and seminaries throughout North America all have in common? They are all accredited through the Association for Biblical Higher Education. 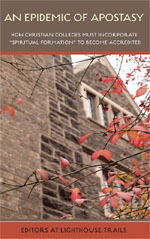 What do the two accreditation organizations Association of Theological Seminaries and Association for Biblical Higher Education have in common? Both associations require schools that wish to be accredited to include Spiritual Formation within the school's infrastructure. They are going to have to incorporate Spiritual Formation (i.e., contemplative spirituality) into the lives of their students. Now can you understand how Satan has so quickly infiltrated his concepts and hellish doctrines within our churches? He has corrupted our youth, our future church leaders! On November 12, 2015, Religion News Service posted an article titled 'Jesus Calling and the Policing of Theology.' In her obvious endeavor to whitewash the many problems found in Jesus Calling, Turner goes out of her way to single him out and take him to task for describing Jesus Calling as a 'dangerous' book. But in her rush to isolate and discredit Challies, she overlooks the fact that he is not alone in coming to that conclusion. 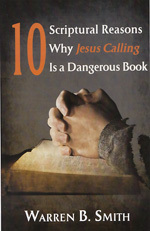 Smith lists ten scriptural reasons explaining why so many of us believe that Jesus Calling is, in fact, a dangerous book. 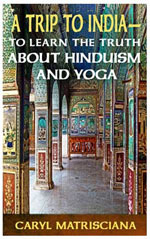 A Trip to Indiato Learn the Truth About Hinduism and Yoga by Caryl Matrisciana. 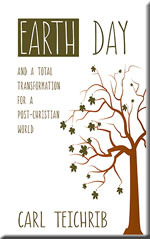 The Booklet Tract is 14 pages long and sells for $1.95. Our Booklet Tracts are designed to give away to others or for your own personal use. Below is the content of the booklet. With more and more Christians (women especially) turning to Yoga, this booklet is a vitally important booklet to hand out at churches and Bible studies. Rarely a week passes when Lighthouse Trails does not receive a phone call or an e- mail from someone telling us that his or her church is now doing Yoga. What would you think of a Bible school that sends young people out to literally prostrate themselves on the graves of deceased preachers so that the students can absorb 'the anointing' that lingers on the graves? What about a church in which a mist containing feathers, gold, and jewel dust descends on the worshippers in the sanctuary? How about a church conference which features prophetic 'tattoo readings' as one of the workshops? What would you expect of a church which is a combination of the Word of Faith error and the prosperity gospel of Kenneth Copeland and Kenneth Hagin, the signs and wonders of Oral Roberts and Benny Hinn, the false assumptions of the 'spiritual warfare' and hyper-deliverance movement, the prophetic movement, and the gnostic mysticism of the Toronto Blessing? 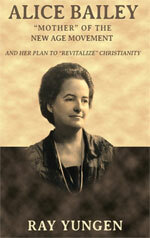 there is such a 'ministry' which is currently the most recognizable and influential face of the prophetic movement. 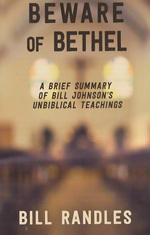 I refer to Bill and Beni Johnson who co-pastor Bethel Church in Redding, California and its related ministries including 'Jesus Culture' youth band and Bethel's School of Supernatural Ministry. Hundreds of thousands have been affected by his ministry and have attended retreats and conferences where they have been 'imparted' with 'the anointing.' This false 'christianity' is very dangerous but very popular. Don't be deceived! 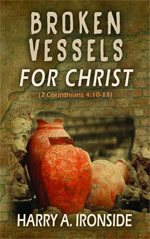 This fourth chapter of 2 Corinthians is the apostle Pauls statement of power for ministry. He shows us in these stirring verses that God is not looking for brilliant men, is not depending upon eloquent men, is not shut up to the use of talented men in sending His Gospel out in the world. 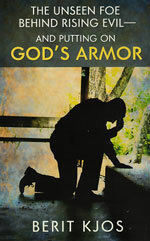 God is looking for broken men, for men who have judged themselves in the light of the Cross of Christ. When He wants anything done, He takes up men who have come to an end of themselves, and whose trust and confidence is not in themselves but in God. There were those who were calling in to question the apostleship of Paul himself, for he did not seem to them to be what an apostle, according to their estimation of the office, ought to be. There was not the pomp nor the dignity they would expect; he did not come to them with great swelling words, there was no making anything of what he was after the flesh, no drawing attention to his natural ability or education; and in this the method of the apostle Paul was in very vivid contrast to the method pursued by many today who pose as servants of our Lord Jesus Christ. This man went through the world a broken man, a lowly man, a man seeking only the glory of the Lord Jesus Christ and the blessing of souls, a man who might have occupied a very high place among the great and distinguished of earth. Two Opposing Religions The controversy between creationism and evolution is not a disagreement between science and religion. Rather, it is a dispute between advocates of opposing religions: scientists who believe the Bible versus scientists who believe in humanism. 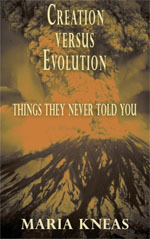 Scientific Problems with Evolution There are many problems with the theory of evolution. For example, gradual improvements are supposed to be caused by mutations. However, geneticists say that mutations never cause beneficial changesmutational changes are always harmful or neutral. Also covered Suppressing Evidence, Lack of evidence, Problems with dating, Conflicts with Laws of Science, Humanist Agenda, Moral Consequences and "Experts" Versus the Bible. 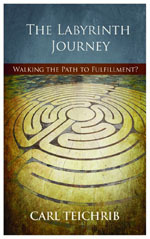 LHT-BKT-LBRT- BOOKLET - The Labyrinth Journey: Walking the Path to Fulfillment? 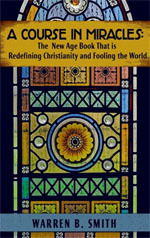 We live in a day and age where many "new things" are sweeping through the Christian church. Some of these alternative directions are simply a reflection of changes in style and format. However, in our exploration towards alternative forms of spiritual expression, it is imperative that doctrinal discernment and discretionary principles come into play. This is especially true as society rapidly embraces a plethora of alternative spiritual practices, beliefs, and paths. Sadly, we as Christians often flounder in doing our homework, and in that vein we may inadvertently open our congregations to highly questionable choices and spiritual experiences. When speaking of spiritual things, what goes around comes around. This is true of every false movement within Christianity, especially in the last days, because the enemy is not going to let a perfectly good deception go to waste but rather will redesign anything to appeal to a subsequent generation. If a particular aberrant teaching is not rejected by the church when it first appears on the horizon by those who perceived it with spiritual eyes, then this movement or aberrant teaching will continue to lead people astray into a future generation. along with everything else in Satans bag of tricks. It would be beneficial for you to join, I was told. We make good men better, I was promised. They waxed on about a legacy, doing good work, and having a sense of camaraderie, and the importance of regular meetings. And it all took place in the 'building-with- no-windows'. 'Is your group political?' I asked, knowing the answer from previous chats. No. 'Ok, then what are you about?' My query was an open door. Chairs shifted as they glanced at each other and then back to me. The silence was palpable. And then the hammer dropped. 'Were not Satanists'. It was said so matter-of-factually, as if it were a normal response when at a loss for something to say. But for me, it was as if a lightening bolt had been shot through a dense fog. Where did this come from? Compelled by the Satan- bomb to find out what the Lodge was about, but not wanting to join, I determined to obtain their rituals and philosophical texts. Books examining and critiquing the Lodge had already been published, but I didnt know this at the time. What I did know was that a BODY OF INTERNAL LITERATRUE existed. Thus began a quest to collect the texts and materials of the Lodge. Along the way, I talked with current Masons, probed into community archives, and studied the subject. Freemasonry has long been called a secret society. But this is a misnomer. Properly defined, a secret society is an organization that intentionally remains unknown to all outside of the closed group. However, hints of a deeper realitya spiritual interestcannot be overlooked. 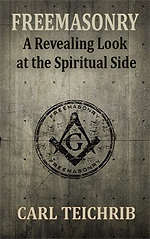 Bernard E. Jones Freemasons Guide and Compendium points to religious underpinnings.2 And Baileys book, The Spirit of Masonry, is devoted to the spiritual endeavor pulsing within the Craft. Masonry does not have an authoritative text to offer clarification in the way many religions and some ideologies do. Using religion as a comparison, Christianity has the Old and New Testament, Judaism the Torah and Talmud, Islam the Quran, and Hinduism builds on the Vedas. But a Masonic scriptural authority does not exist. In Their Own Words Religious Universalism. Masonry, around whose altars the Christian, the Hebrew, the Moslem, the Brahmin, the followers of Confucius and Zoroaster, can assemble as brethren and unite in prayer to the one God who is above all the Baalim. (p. 226). Of course, this belief brands Jesus a liar because He emphatically stated that He was the ONLY WAY TO THE FATHER. Every other supposed way was a LIAR AND A THIEF. CONCLUSION: Scripture runs counter to the ideas of the Lodge and Freemasonry, which seeks mystical perfection through its own works, making it an avenue that delivers the antithesis of the Gospel message of Jesus Christ. CUTTING EDGE NOTE: The REAL purpose of Freemasonry is to unite all religions of the world into ONE with Antichrist and the False Prophet at the head. Masons are shocked with they realize their purpose is to stage Antichrist oin the guise of serving Jesus Christ. At a time when a clear and biblically sound understanding of Bible prophecy is most important, we find the church, paradoxically, having less knowledge of it, especially as it relates directly to Israel. As time went on and the church drifted further and further away from her Jewish beginnings, many began to erroneously believe the church had replaced Israel. But in this day and age when we see biblical prophecy being fulfilled on such an unprecedented and unparalleled scale with God's continual protection and restoration of the Jews to their land, there should not be those who walk in disbelief with regard to God's promises. But there are! A growing number within the church are holding to the position that Israel as a people and a nation has no further place with God and that Israel is eternally cast off for their rejection of the Messiah. They believe national Israel no longer has a future in any part of God's plan. They also believe all the promises given to Israel have not only been revoked but transferred to the church and that the church is now the 'true Israel'. In summary, what can be said for Israel? We, therefore, owe a great debt to the Jewish people; and Israel is still Israel and will continue to have a special place in Gods heart and significance in the future of our planet. Remember, God has said of the Jew: '... for he that toucheth you toucheth the apple of his eye. (Zechariah 2:8). 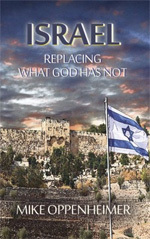 Israel still has a key role to play in End Times Prophecy. The 7 year period known as the Tribulation is really the 70th Week of Prophecy of Daniel 9:24-27. At the end of that period, Jesus will return to rule over the entire world from Jerusalem for 1,000 years. Do not be deceived: God is still working His Prophetic Plan for Israel. In the West, mysticism always used to be restricted to a tiny fraction of the population (i.e., shamans, esoteric brotherhoods, and small spiritual groups). Never before has there been a widespread teaching of these methods to the general population. Now, mysticism pervades the Western world. 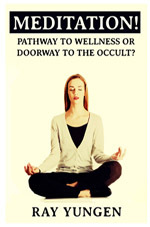 Occult meditation practices have even spread into formerly fundamental churches! in your consciousness and you feel like things are really working; you may even experience a lot of energy flowing through you or a warm radiant glow in your body. These are signs that you are beginning to channel the energy of your higher self. People must realize that truth is discovered by faith and not by feelings, so matter how intensely wonderful that feeling might be at the moment! or the voice of the silence. What a person has done when they practice this type of meditation is to open their minds to demon possession! Doubt it Not! Can we just say it? 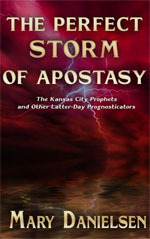 Homosexuality is going to be the dividing line between the true church and the rising apostate church. 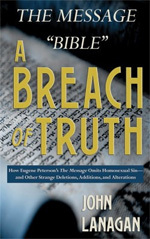 And Eugene Peterson's The Message is being used by those who want to avoid or deny the truth that homosexuality is a sin. The Message flat out deletes homosexuality as sin from two key New Testament passages and gives a politically correct spin to a third (1 Corinthians 6:9-11, 1 Timothy 1:8-11, Romans 1:25-27). The Messages Effect on the Church -- We are at the point where many in the church are wavering about homosexuality. As with 1 Corinthians 6:9-11, homosexuality is again deleted in 1 Timothy 1:8-11. 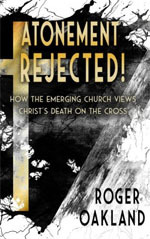 The Message is weakening the church. Our long-term acceptance and use of The Message explains in part why many Christians are lukewarm on the issue of homosexuality. Society continues to undergo a paradigm shift. Christians are daily being exposed to a barrage of pro-homosexual propaganda via media, entertainment, politics, and education. Certainly, The Message is not the only factorbut place this 'Bible' in a person's hands, and it can have, over time, significant influence. The Message will be increasingly used by on-the-fence churches, apostate churches, and by homosexual 'Christian' activists. The Message is not a translation of the Bible. It is not a para- translation, as its publishers have so cleverly called it. Nor is it a paraphrase, because Eugene Peterson has omitted, and he has added. The Message should not be used by the body of Christ at all. By fall, 1939, World War II began in earnest. Germany surged ahead, optimistic because of her swift victory in Poland. The frighteningly diabolical trio of Adolf Eichmann, Reinhard Heydrich, and Heinrich Himmler was ordered to find a final solution to the Jewish problem, and it was generally understood that the final solution meant total extermination. Rudolf Ross was put in charge of the genocide at Auschwitz. Upon his orders, two thousand Jews would be gassed at one time. As men, women, and children were shoved together into massive shower rooms some were stamped on their chests with a coded number that indicated they had gold teeth. When they finally realized they weren't taking a shower, they screamed and cried for mercy, but their cries fell on deaf ears. Amused guards watched through peepholes as they suffered and died. 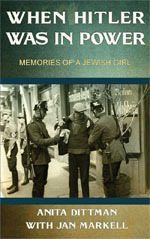 Hideous horror stories began to trickle out of the various camps, putting unbearable pressure on European Jews, who knew that they were all potential gas-chamber victims. By the summer of 1940, the Führer had made himself the master of western Europe as he invaded Denmark, Norway, Belgium, Holland, Luxembourg, and France. They all would fall before the years end. It began to look as though Italy would enter the war as an ally of Germany. Hitler had only to whisper and ten thousand prisoners would die that day. Is a similar time coming for America? If we have to go through this type of persecution, would you be spiritually prepared? This trend to blindly accept Yoga and other New Age practices without evaluating it according to Scripture, has only continued to accelerate within Christian colleges, ministries, and even churches. Currently, an estimated 24 million people in the United States are regularly involved with some form of Yoga, health clubs, including the YMCA, YWCA, and the local community college. Nearly ten percent of U.S. adults and three percent of children participated in yoga in 2012. Most of these adults may be vaguely aware of the Hindu component of Yoga but see that as being irrelevant to taking Yoga classes. 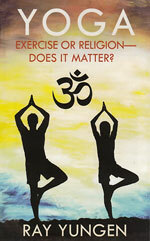 Many people doing the asanas, or postures, seem to feel that these exercises are devoid of any religious connotation. But, what if they are wrong? What if Yoga is sending its adherents to Hell? Yoga is more prevalent now than ever among people living in the West. Participants will learn just how much the wisdom of ancient India can spiritually nourish them (Have you noticed how India is ALWAYS physically impoverished and the faces of its people devoid of happiness and hope? Why should anyone want to learn of a religion from India? Many people may not know that there has been a 'Christian' element to this phenomenon of mysticism known as contemplative prayer or centering prayer. This form of mystical prayer has entered the Christian church primarily through spiritual formation programs. Despite the actual practice being centuries old, going all the way back to the desert fathers in the middle ages, it has only recently struck a chord with many people within the numerous branches or denominations that make up the panoply of Christianity. New Agers and those practicing Eastern religion regard contemplative prayer as part of their own movement. Major Proponents of Contemplative Prayer Advocate Eastern Religions. 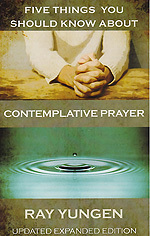 One of the outstanding characteristics of the contemplative prayer movement is what is known as interspirituality. In effect, this means you stay in your present religion but you absorb the spiritual perspective of those within Eastern thought -- Zen Buddhism, Sufism, Taoism and Vedanta. Finding the 'God' Within It is important to note here that the purpose of contemplative prayer is to enter an altered state of consciousness in order to find ones true self, thus finding God, or at least an occult version of the One True God! CONCLUSION: CONCLUSION The Bible reveals that in the heart (center) of man our true self is not 'God' but rather sinful and wicked. The Bible also clearly warns against repetitive prayer and also tells us we cannot find God unmediated (i.e., without Christ). Jesus never taught his disciples techniques to attain oneness with God, but rather spoke of Himself as the Way. In fact, the entire New Testament was written to dispute the idea that people can reach God through religious efforts and reveals that Jesus Christ is the only answer. 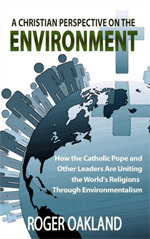 as a Christian, I believe it is the responsibility of every human being to be concerned about our planet and the ecological relationship we have with all living creatures that God has created. is sick is strangely familiar in light of the Bible and also history. Throughout biblical history, mankind has always leaned toward this direction of worshipping the creation and not the Creator. THE PROBLEM IS THAT CURRENT SOCIETY IS WORSHIPPING THE WRONG GOD -- Mother Gaia and not the God of the Bible! The Christian view is that the Creator is sovereign and eternal while man is not. God is the Creator of all things, and He is separate from His creation. Whats more, creation is not to be worshipped but respected while God is to be worshipped and adored. In other words, God created everything, but everything is not God. Pope Francis is trying to pull Protestants into the Catholic Church. Several factors are helping him accomplish this agenda: 1) Catholics have redefined key words. 'Grace' to a Catholic is earned by human endeavor, but the Bible says that grace is God's favor to man which cannot be earned. According to official Catholic doctrine, we are saved by grace through faith in Jesus ChristPLUS being baptized, going to Mass on Sundays, receiving communion at least once a year, going to confession at least once a year, believing the official doctrines of the Catholic Church, and dying in 'a state of grace.' 2) Pope Francis claims that Christians, Jews, and Muslims worship the same God. We do not! 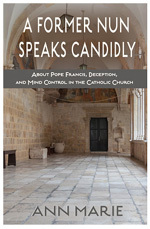 3) Pope Francis is a Jesuit and therefore practices Mind Control. He violates a persons ability to think independently and to follow ones own conscience. In addition, this can be used to pressure people to obey orders to do evil things. The spiritual hold of Catholicism: The Roman Catholic Church believes that the Pope has the power and the authority to damn people to hell. 'We excommunicate, anathematize, curse and damn him.' Jesus said 'I am come that ye may have life and have it more abundantly'!